Your Call in full: is Theresa May's compromise too little too late? Euronews’ Darren McCaffrey and Meabh McMahon were joined by Irish MEP Marian Harkin and Austrian MEP Thomas Waitz on Wednesday evening for the latest episode of Your Call. The call-in show sees viewers from across Europe phone and Skype in to have their say on the issues directly affecting them at home. 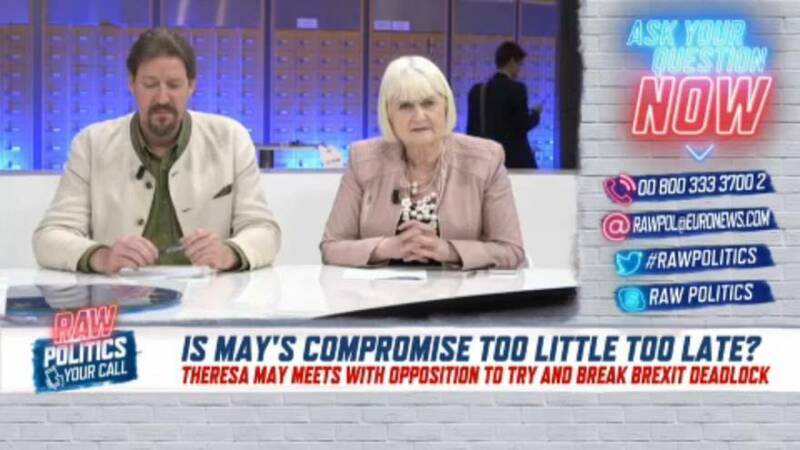 On Wednesday evening's episode, viewers and panellists debated whether Theresa May's Brexit compromise was too little too late.